Glaucoma is a serious eye disease characterized by damage to the optic nerve, causing permanent vision loss if not managed properly. It impacts some two million Americans and is one of the leading causes of blindness in the United States. Find out what you need to know about recognizing signs of this condition and why early detection is so important. The most common cause is a buildup of pressure in the eye, which compresses the nerve fibers and blood vessels of the optic nerve. This usually occurs when the ocular fluid produced by the eye is unable to drain as usual and builds up, creating pressure. Possible causes include tumor, injury, or infection, but often the reason for this blockage is unknown. Glaucoma is most common in persons over the age 40. If you have a family history of the condition, you may have an increased risk. The ailment also appears more commonly in African Americans than Caucasians and among those who have diabetes or are nearsighted. 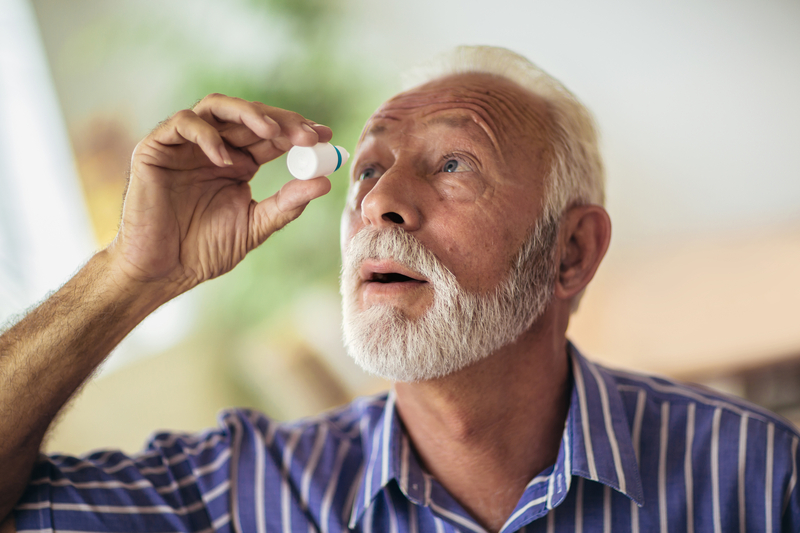 Unfortunately, the illness is not preventable or curable, but if detected early enough, it can usually be managed in a way that prevents vision loss. A combination of prescription eye drops and oral medicines is generally prescribed, although some cases require laser therapy or surgery. The goal of these treatments is to decrease ocular fluid pressure. How can you recognize signs of glaucoma? The condition usually develops slowly and doesn’t cause any pain. Possible symptoms include blurred vision and seeing rings or halos of color when looking at lights. As the illness progresses, peripheral vision loss begins, followed by central vision loss. This is not reversible, which is why regular screenings to check for signs are so important. Don’t let glaucoma sneak up on you. Be proactive about your vision health and schedule an eye care exam at Midwest Eye Center: A Division of TriState Centers for Sight in Crestview Hills, KY. Serving the greater Cincinnati area and northern Kentucky, their eye doctors cover various specialties, from LASIK to cataract surgery. They deliver attentive, personalized care from friendly and knowledgeable professionals. Get to know their team of experts online, and for an appointment, call (859) 525-6215.